People have taken to the streets in Italy’s capital to protest against government austerity measures. On Friday, Italians held a rally in the city of Rome, urging Prime Minister Matteo Renzi to reconsider his economic plans. Meanwhile, Italian workers’ unions from both public and private sectors have called for a one-day nationwide strike on Friday. People in 20 cities are expected to join the strike to protest “against the politics of liberalism and austerity,” said the far-left COBAS union spokesman, Piero Bernocchi, in a statement. The unions are demanding that the Italian government grant higher pensions, increase the investment in public services and set a guaranteed minimum wage. The rally and nationwide strike came after the Italian National Statistical Institute (Istat) announced on Friday that the country’s economy was still beset with recession in the third quarter of 2014. According to reports, Italy’s gross domestic product (GDP) dropped by 0.1 percent during the July-September period. The country’s GDP shrank by 0.2 percent in the second quarter of 2014 while it was flat in the first quarter of the year. Italy started to experience recession after its economy contracted by 0.2 percent in the third quarter of 2011 and by 0.7 percent in the fourth quarter of the same year. 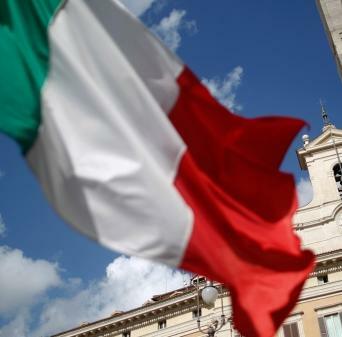 Over the past decade, Italy has been the slowest growing economy in the eurozone as tough austerity measures, spending cuts, and pension changes have stirred serious concerns for many people already grappling with the European country’s ailing economy. Italians have been staging protests against high unemployment, economic adversity, and hardship over a series of government-imposed austerity packages in the recent past.